Every time I see a new psychological thriller from K.L. Slater I can’t help but do a little happy dance in my excitement anticipating a great read. Long time fans and new readers both will most likely enjoy this latest, Finding Grace as it’s another solid story from a great writer. Lucie and Blake Sullivan are parents to nine year old Grace who like most children these days thinks she’s one step away from adulthood. Grace is adamant that she doesn’t need her parents walking her back and forth from her friends home, she’s nine already not two! After much bickering and back and forth Lucie and Blake finally agree to let her walk home on her own. Despite having agreed to allowing Grace a bit of independence the parents of both girls have agreed to keep an eye out on Grace as she walks, hopefully without her noticing. Unfortunately the plan goes awry when Blake slips and falls hurting his ankle instead of taking up his post to watch for Grace and in the blink of an eye Grace goes missing. Being very familiar with this author I know ahead of time that I would enjoy her writing and it wouldn’t take but a page turn or two to become engrossed in her new story. This is definitely one of those good psychological thrillers that has you questioning each character along the way as the story unfolds. Definitely still a fan after this latest read and can’t wait for the next as it will surely be full of twists and turns too. 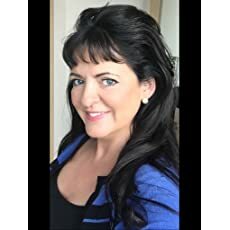 Kim is the million-copy bestselling author of seven psychological crime thrillers. 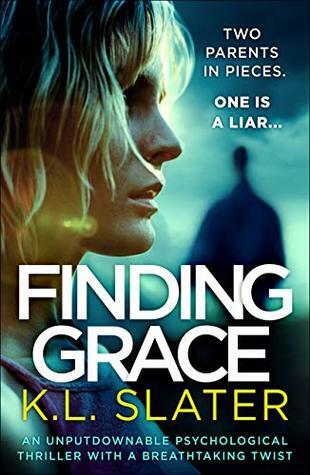 Her eighth thriller, FINDING GRACE, will be published 14th February 2019 and is now available for pre-order. Kim’s titles are also published in paperback by Grand Central in the USA and Sphere in the UK. Great review Carrie. Nice that you are still enjoying KL Slater’s books. I have only read one, but maybe I should check this one out. I am due for a good psychological thriller. Good to know. I think I have one or two on my kindle. Great review! I loved this book even if my heart rate didn’t.